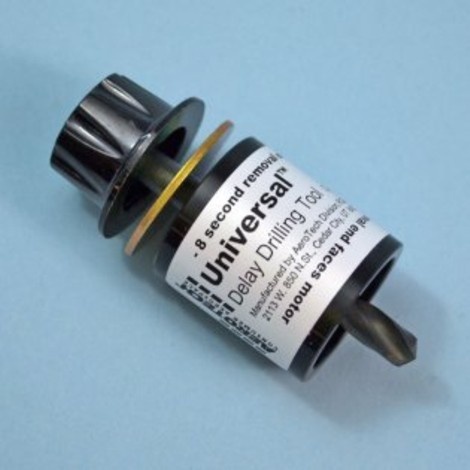 Aerotech's Universal Delay Drilling Tool is used to drill the delay on DMS and EZ type motors down to the required length in two or four second increments. The tool, like the two other tools for the RMS motors that are available, use a 1.5mm (1/16") washer to space for certain 2-second delay increments. A 0.75mm (1/32") washer could be substituted if necessary for even finer control in 1-second delay increments. Not to be used for RMS (reloadable) or LMS (loadable ) motors.